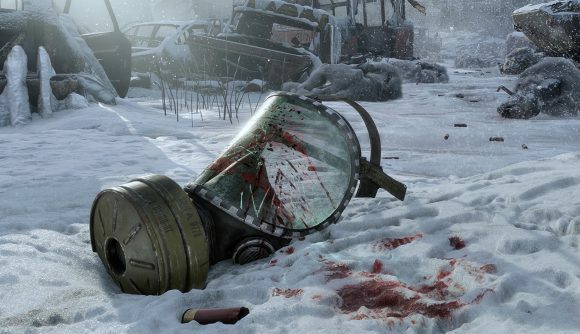 Metro Exodus is ditching Steam to exclusively head to the Epic Games store. Publisher Deep Silver is under the same umbrella as THQ Nordic, so you might be wondering whether this means further games from either publisher will follow similar rules of exclusivity. THQ Nordic doesn’t want to completely rule out the possibility, but the publisher is publicly distancing itself from the decision. THQ Nordic had been responding to fans with similar sentiments on Twitter today, before offering up the larger comment and making it the account’s pinned tweet. To get proper and technical here, THQ Nordic GmbH is a subsidiary of a Swedish company called THQ Nordic AB. The larger parent acquired Koch Media in 2018, which owns Metro Exodus publisher Deep Silver. If all of that sounds pretty confusing, it’s because it is – to the point that THQ Nordic AB will be changing its name “to better reflect its status.” You can read more about that via a statement issued earlier today. At the rate the various arms THQ Nordic are going, the company will soon own all of videogames, and the acquisition of properties like Alone in the Dark, Expedition, and Carmageddon proves that there’s no corner of the gaming world too disused for the modern THQ to take an interest in. Some of those may end up Epic store exclusives, but it seems that won’t be the only path for these releases going forward. At least not for those published by THQ Nordic proper.